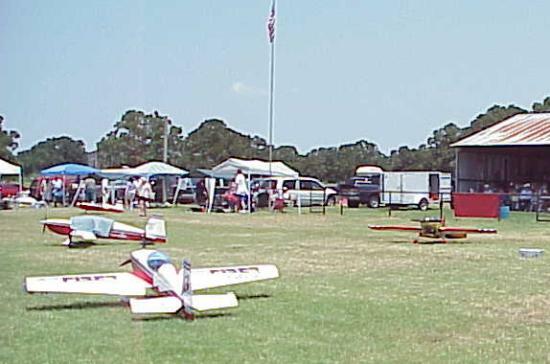 Old Kingsbury Aerodrome and Tri-City Flyers hosted the Texas IMAC classic on the weekend of August 3, 2002. 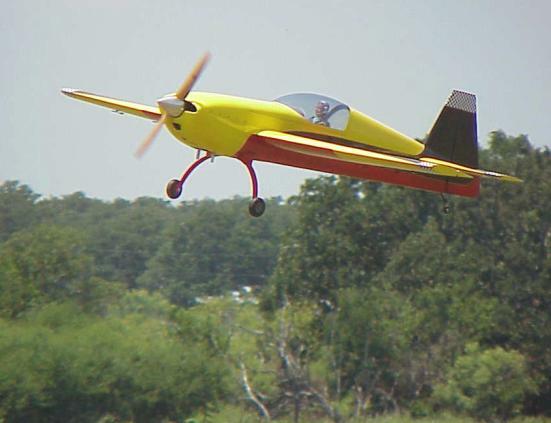 This model aircraft aerobatic competition brought out many excellent pilots and airplanes, and the weather couldn't have been better (finally!). The airplanes flying in this meet were large- scale replicas of full-size aerobatic airplanes, and the piloting was simply magnificent! Although these are large-scale planes, they are still capable of maneuvers not possible in the real thing. One maneuver that all planes and pilots must master, however, is the landing. This model (yes, it is a model!) is coming in, having finished its routine. 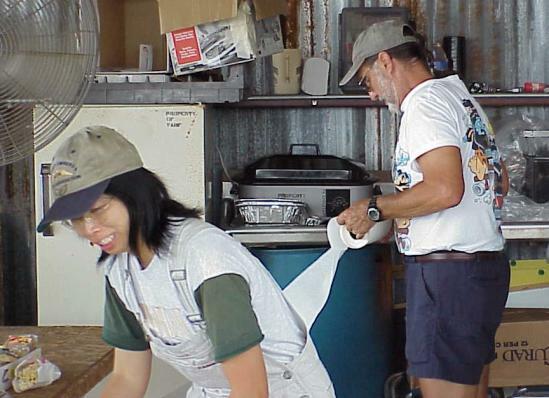 Special thanks go to Tony and Cynthia Fusco, who volunteered their time and energy this weekend to man the food concession. Thanks to them, all of the food income for this event goes to PFM! Another item of note was this 70%-scale Staudacher model, built by Fiber-Art. 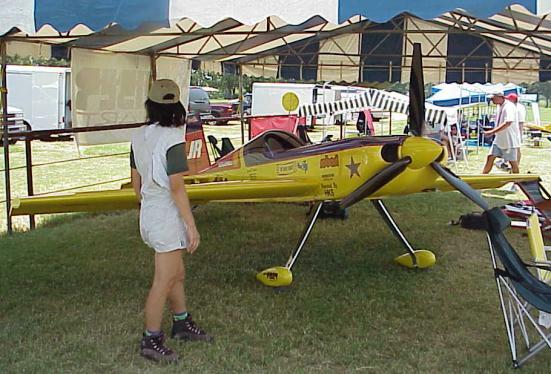 It was on display all weekend, but unfortunately wasn't allowed to fly since the event's insurance wouldn't cover it. Even standing still, though, it was impressive.